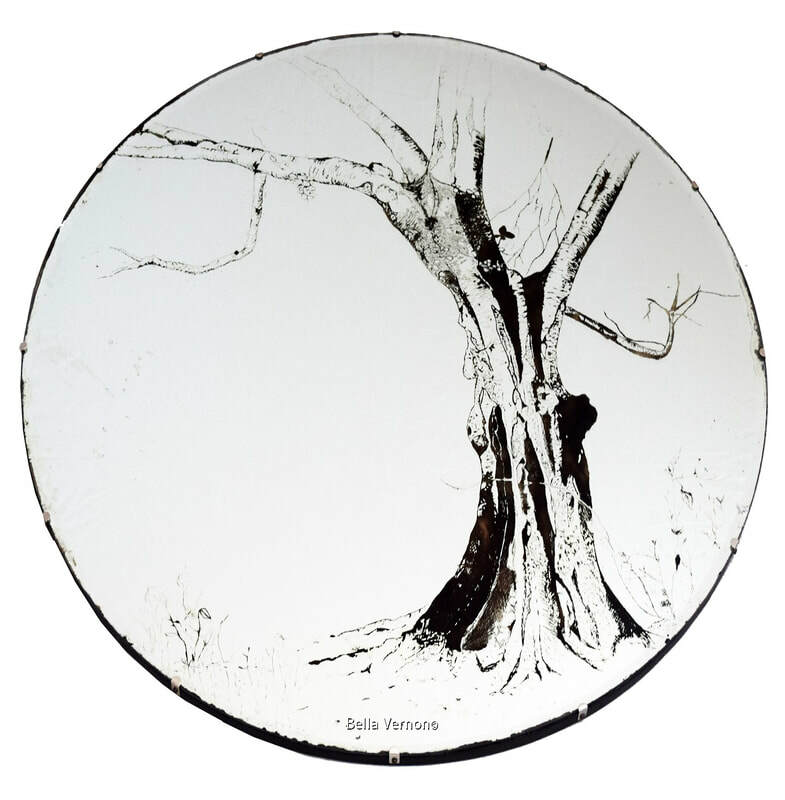 Bella Vernon explores the potential of reclaimed objects, embedding them with imagery inspired by the landscapes around her, the London Canals, cityscapes and architecture that form the fabric of everyday life. ​Salvaged mirrors, windows, and glass are restored from forgotten fragments into autonomous sculptural pieces that, in their partial transparency, traverse the boundaries between drawing and architecture. By adding and removing elements behind her mirrored surfaces, Vernon insists that we navigate both shadows and reflections, creating an image that is seemingly never quite static. Pre-existing imperfections upon the glass, in calling our attention to the outermost and innermost surfaces of the pieces, only make this viewing process a more unique one.